They say opposites attract, and it's certainly been demonstrated that the convergence of two individually meritorious but outwardly disparate entities tends to result in something fantastic, like H.B. Reese getting some peanut butter on his chocolate, or Cate Blanchett playing Bob Dylan, or Catherine Zeta-Jones doing Sondheim. Send in those clowns already! 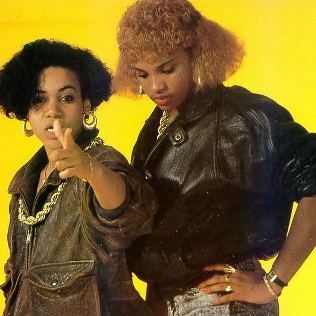 Or, how about Robyn the killingest pop star on the planet, mixed with the groundbreaking girl rap pioneers Salt N Pepa? 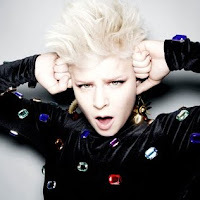 Swedish music blog Stockholm Beat Connection today posted this mashup of Robyn's recent single "Fembot" from her new album Body Talk, Pt. 1 (out June 15 - my birthday! - and I've heard it and it is killer) and the 1987 Salt N Pepa classic "Push It." New Directions, eat your heart out! Check out the mashup here or at the link below. A perfect example and culmination of how far rap and beats have gone. Robyn reigns dancehall queen of music.